I’m sort of a kickstarter junkie. I love buying stuff that is new and on the cutting edge and i like to support people building cool stuff. I often find items on Kickstarter that are ahead of their time and i usally sign up to support them. 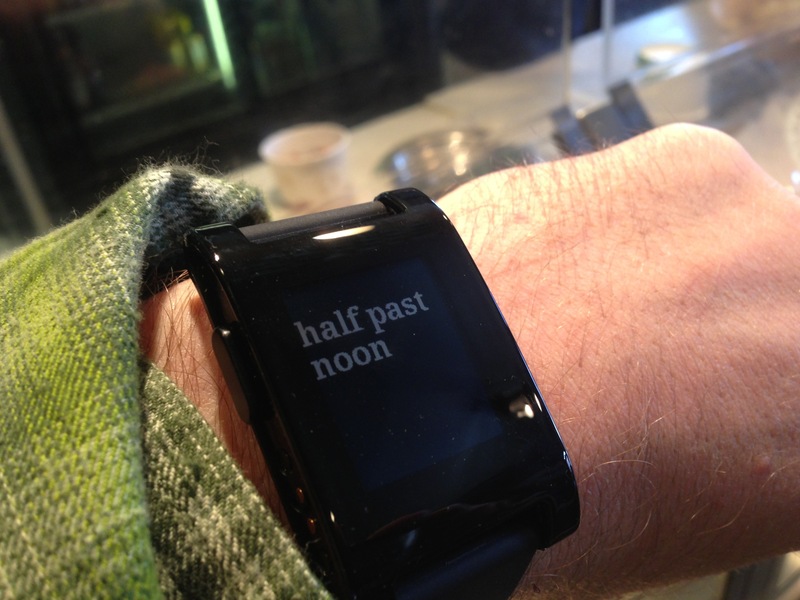 Why I was interested – a watch that integrates with my smartphone! All updates come to the watch. I also liked the Runkeeper integration where i don’t have to look at my phone when on a run. Why I’m disappointed – I like the watch (my review of Pebble Watch) but i ordered this May 2012 and received it over a year later. By the time it hit the market, there were better options such as the Samsung or Sony watch. Ordering it on KS didn’t give me the option of exploring the market nor did it give me a watch before it hit the market. It just locked me into a solution. Why I was Interested – I love recording my life. The thought of something taking photos every 30 seconds sounds awesome. I was super into it. Why I’m Disappointed – Again, it took FOREVER for this. I order November 2012 and received it almost 15 months later. Even worse they kept sending emails about how close they were – even though they weren’t actually close at all. Why I was Interested – I love the show. I was excited there’d be a movie and wanted to support that effort. They’d give me a digital download that i could watch at home instead of going to the theater. That alone was worth the price. What I was Disappointed – The digital download was only available in this crappy Flixster player which couldn’t, unlike every other movie file i own, couldn’t be played on my television. Thus, i had to rent the movie anyway, essentially making me double-pay for the film. I was happy to do so, but i was still misled. Again i was disappointed. To sum up, i love Kickstarter and what it does. I think it’s a great company. However, my enthusiasm for backing projects has gone way down. I’ll probably do some more but will likely only do it if i don’t need the product in any specific timeframe and only if my desire to support the project outweighs my desire to actually get the product described. You’re not purchasing a product. You’re investing in bringing an idea to market. I too have been burned on kickstarter, just have better things to do than to sit around bitching about it.